- Injury report: For the Raptors, Jonas Valanciunas (left thumb dislocation) and Malachi Richardson (right knee soreness) are out. The injury report for the Clippers is to be determined. 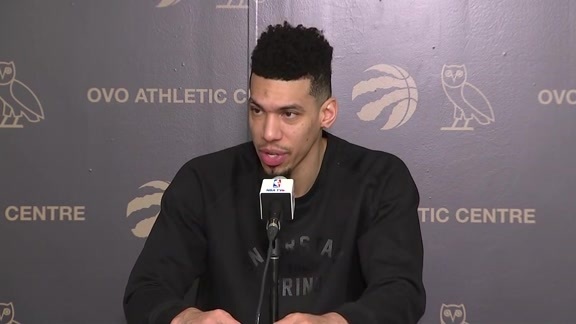 - Back on track: Toronto’s 10-game winning streak at Scotiabank Arena was snapped by the Milwaukee Bucks on Thursday. The Raptors would like to get a new streak started before hitting the road for a three-game trip following Sunday’s game. After facing the Clippers, Toronto will head to Philadelphia, Atlanta and New York, before returning home to host the Brooklyn Nets on Feb. 11. - Recent history: The Raptors have an opportunity to sweep the season series against the Clippers, after defeating them 123-99 in Los Angeles on Dec. 11, behind a 25-point, nine-rebound performance from Serge Ibaka and 21 points from Kyle Lowry. Kawhi Leonard did not play in the victory, and Fred VanVleet recorded a career-high 14 assists starting in his place. Boban Marjanovic scored 18 points for Los Angeles in the loss. Sunday’s game will be a back-to-back for the Clippers, who picked up a 111-101 victory in Detroit against the Pistons on Saturday evening. The Clippers outscored the Pistons 35-14 in the fourth quarter to complete a 25-point comeback win. - Five times: Kyle Lowry will be joining Kawhi Leonard in Charlotte for the 2019 All-Star Game. The NBA announced reserve selections on Thursday and Lowry got to hear his name for the fifth time in his career, tying him with Chris Bosh and Vince Carter as the only players in franchise history to have five All-Star selections. 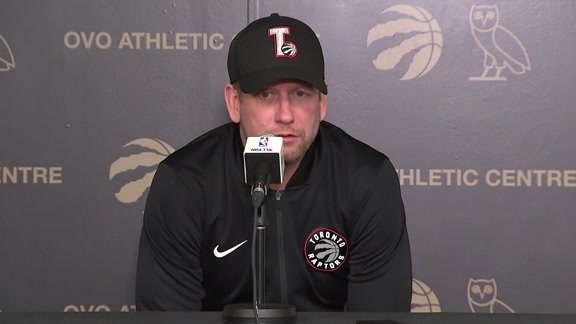 “It means the world," Lowry said after Thursday's game. "It means the coaches respect what I do. I appreciate them voting me in. I go out there and do my job and play hard and try to lead my team the best I possibly can. If it wasn’t for my teammates, I wouldn’t be in this position." Leonard and Lowry representing the organization in Charlotte also marks the fourth consecutive year that the Raptors have had two players selected to participate in the All-Star game. The duo will be joined in Charlotte by sophomore teammate OG Anunoby who was selected to participate in the MTN DEW ICE Rising Stars game. - Staying hot: Kawhi Leonard started 2019 with a career-high 45 points against the Utah Jazz on January 1. He hasn’t slowed much at all, finishing January averaging 30.2 points ( and leading all Eastern Conference players) in 10 games played. This was the first time in his career that Leonard has averaged 30.0 points in a calendar month, breaking his previous high of 29.1 points over 12 games that he set in December. - Bench depth: The Raptors will have their hands full with the Clippers reserves on Sunday. The Clippers bench leads the NBA, averaging 51.3 points per game. Lou Williams is averaging 18.8 points to lead the league in bench scoring. He also leads the team with 5.3 assists per game. The Raptors know Williams’ skill set well. He is a former Raptors guard and won the Sixth Man of the Year award during his season with Toronto. Williams is coming off a 39-point, nine-assist performance in Los Angeles’ 111-101 victory against the Detroit Pistons on Saturday.